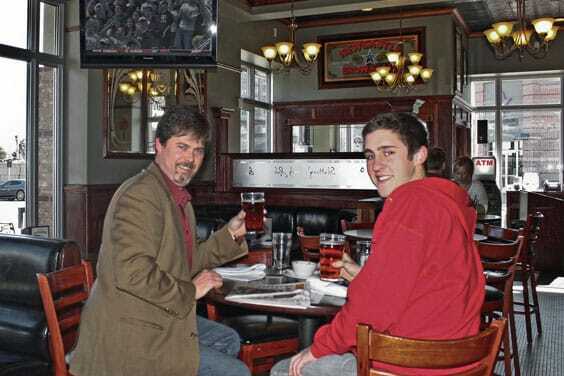 Richard Payne (left) and Randall Hilzer enjoying a leisurely lunch at Slattery's Irish Pub. With St. Patrick's Day just around the corner, come and celebrate with live music and festivities at Slattery's Irish Pub, located in the hip Landmark Village Denver Tech Center. It offers a fun and inviting atmosphere for all. Kick off your lunch or dinner with a few of their appetizers. Green bean fries, waffle fry nachos, smoked salmon crostinis, or corned beef egg rolls top the list. They also have many soups, salads, specialty sandwiches, and wraps to choose from. Order one of their specialty burgers such as the Irish burger (topped with Rashers – Irish style loin bacon), spicy island crunch burger, or sriracha baby burger (topped with Sweet Baby Ray's BBQ Sauce). You can't go wrong with any entrée choice, such as bangers and mash, shepherd's pie, fish and chips, grilled lamb sliders, or chicken penne diablo (penne and grilled chicken in a spicy marinara cream sauce). It doesn't stop there. The dessert menu offers delicious delectables such as Guinness ice cream, Irish cream crème brûlee, or crispy vanilla bread pudding. Want to bring the little ones? They have a kids menu with all the favorites. Relax and enjoy your weekend while feasting on brunch Saturdays and Sundays from 11 a.m. to 3 p.m. All day two-for-one on select wine, beer and wells, and only $3 mimosas and Bloody Marys, $4 Irish car bombs and Jagerbombs (dropping a shot of Jagermeister into a glass of an energy drink). Happy hour is not just daily, but twice a day. Enjoy select appetizers ranging in price of $3.95 to $5.95. Enjoy Guinness onion rings, buffalo bites, potstickers, corned beef egg rolls, sweet potato fries, and happy hour burgers, all from 3 p.m. to 6 p.m. and 10 p.m. to 12 a.m. Get buy one and get one free on select draft beers, wines by the glass, and well drinks too. Enjoy from 3 p.m. to 7 p.m. and 11 p.m. to 2 a.m.
Slattery's Irish Pub is located at 5364 Greenwood Plaza Boulevard in Greenwood Village. 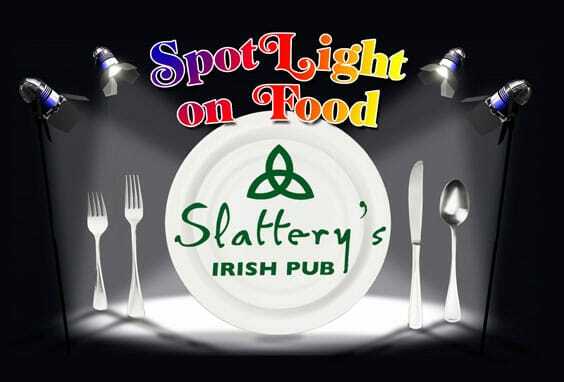 They are open daily from 11 a.m. to 2 a.m. For more information, call 303-741-2115 or visit www.slatterysirishpub.com.